Products/services used: TORNADO, Pallet Racking Standard Aisle and Safety accessories. Ponsse Oy is a leading manufacturer of forest machinery located in Finland. It has a factory in Vieremä where a significant proportion of spare parts for PONSSE forest machines are manufactured. The company decided to build a new logistics centre, which would be a central hub for spare parts to replace their existing, cramped warehouse in Iisalmi. Although Ponsse stocks a small amount to supply the immediate area, the main objective of the centre is to provide fast, efficient deliveries to its network of 150 international service teams around the globe. The logistics centre also plays an integral role in the supply of first class maintenance services. The hub currently operates in three shifts from Sunday night to Friday evening so it was vital that they had a solution that was robust enough for the job. The move from the old warehouse to the new hub tripled storage capacity but even so, the growing need for rapid delivery of spare parts for the forestry sector meant that every available centimetre of space would need to work hard. Kasten demonstrated that their TORNADO storage machines would provide the ideal solution, and eight were installed. Savings of up to up to 70% in floor space whilst providing the same storage capacity. Fast, efficient and accurate order performance. Faster search times and fewer picking errors. Although Ponsse manufactures large forestry equipment, the maintenance work requires a lot of small parts. The pallet racking stores the larger spare parts, while the TORNADOs store the smaller parts. Having previously used KASTEN Storage Machines, Ponsse already had positive experience with Kasten. The company was keen to replicate this so that the machines can be serviced quickly, and fully back in operation as quickly as possible, minimising any delays in deliveries. The new 4,500m2 logistic centre now provides 42,000 cbm of storage space and can stock approx. 20,000 articles with room for 7,000 pallet spaces. Today, it delivers around 100,000 separate articles globally each year, with next day delivery of spare parts guaranteed for Sweden and central Europe. 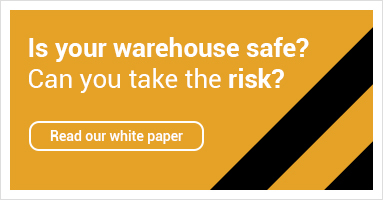 The flow of information and material is fully controlled at all stages of the process and the Warehouse Management System (WMS) has made it possible to introduce a degree of automation.